Tracking quality assurance tasks can be a time-consuming venture. It is often difficult to pull together the comments from multiple individuals to fully understand the quality issues that may be present. Statdash is a terrific tool for aggregating the status of quality tasks from a team. It also keeps a log of every time the status is updated as well as every time a status is requested. This makes it possible to verify when quality issues arise and when the status changes. 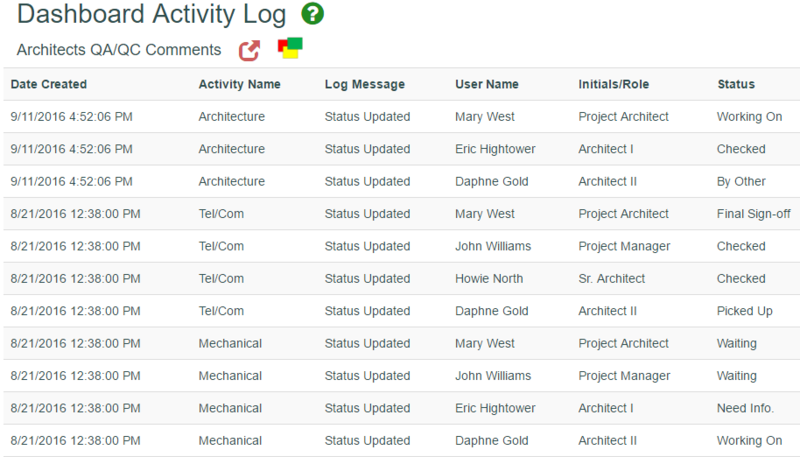 Below is an example of a dashboard that is being used to track quality assurance comments for a building project. Below is a screen shot of the dashboard log that shows how status changes are tracked by Statdash.